If an alewife swims up the fishway but there’s no counter to record its passage, does it make a splash? 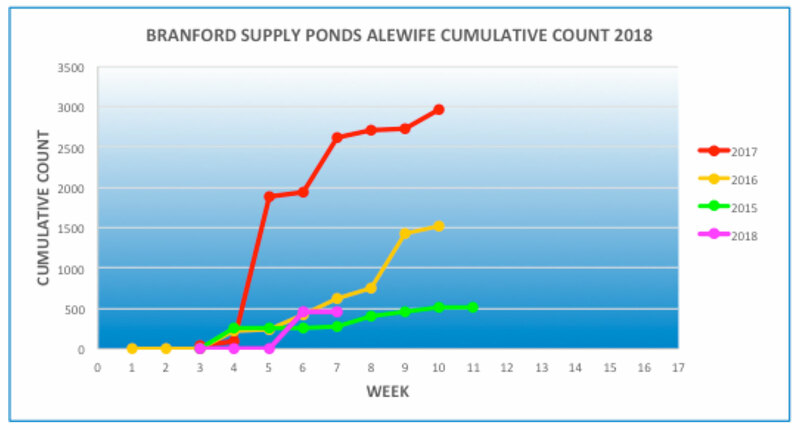 Sometime in the past week or so, the Supply Ponds fish counter stopped working after 457 fish made their way upstream. So perhaps a few of our intrepid Land Trust members might venture out in this warm spring weather and see how the fish are doing. 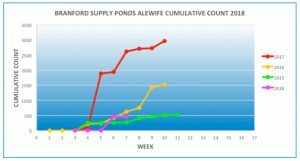 If you see any alewives – let us know!